New single “Heaven Adores You” out now via HolyHowl. 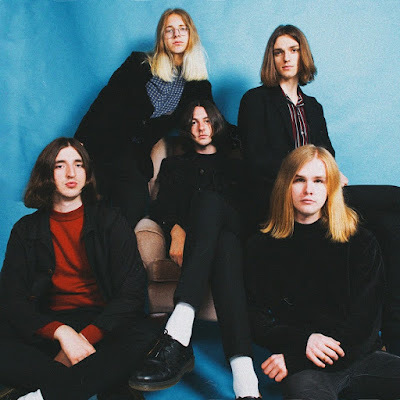 Midlands 5 piece Violet come drenched in big sounds with an indie spark, combining influences that draw from 90s Grunge to Britpop. Pedal immersed guitars entwined with intricate drums and powerful basslines come together to create a unique ethereal, yet captivating sound. The band are likened to the ambiance of Slowdive, the mystique of The Horrors and the melancholy of Suede. Following on from their debut singles “Feel” and “Jaded” which received acclaim on Clash and Dork amongst others and was rotated on Steve Lamacq’s 6music show the band are set to release their follow up single ‘Heaven Adores You’ out on ‘HolyHowl’ Records.